DENVER, April 17, 2019 (GLOBE NEWSWIRE) -- Elixinol, one of the most influential CBD brands in the world with nearly three decades of experience in the hemp industry, announces its latest product in partnership with Ken Brown, MD of KBMD Health, KBMD CBD Extract in Elixinol’s signature Natural and Cinnamint flavors. Created in partnership with Dr. Brown, an established physician specializing in gastroenterology, this full-spectrum product contains 900mg of CBD in a 1oz tincture, and is intended to help alleviate abdominal discomfort caused by inflammation in those impacted by digestive issues. 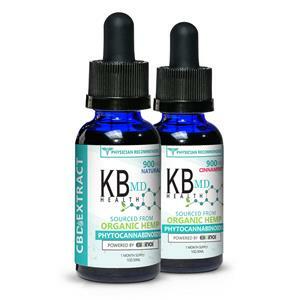 KBMD Hemp CBD Extract is available at https://kbmdhealth.com/900mg-kbmd-cbd/ for a suggested retail price of $89.99 in Elixinol’s signature Natural and Cinnamint flavors. Dr. Ken Brown is a renowned physician in the gastroenterology field passionate about “bridging the gap” between medical and natural sciences. Truly believing that learning doesn’t stop once a Doctorate is achieved, Dr. Brown started a clinical research effort over a decade ago in order to uncover new and innovative approaches to health and wellness. In addition to the KBMD 900mg Natural CBD Extracts he partnered with Elixinol on, Dr. Brown created Atrantil Capsules, geared to relieve symptoms of bloating and abdominal discomfort with a natural approach using polyphenols. Dr. Brown has been featured in many top-tier publications, multiple TV platforms, and several podcasts. He has recently launched the “Gut Check Project” digital radio show and podcast where he hosts great guests to talk health, science, and more on his expertise and mission. More information available at KBMDHealth.com.